. :: WHERE TO WATCH RIO 2016! ::. BBC.co.uk – All the UK Territories can enjoy Olympics live telecast on BBC website. CBC.ca – CBC will telecast Equestrian live on Canada. Skytv.co.nz – This channel will stream Equestrian in New Zealand. 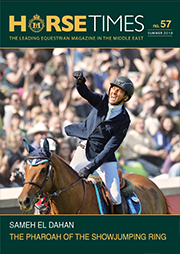 ESPN & Fox sports – will broadcast Equestrian live in Brazil, Latin America and Caribbean Countries. Starsports.com & Hotstar.com – These are the two sources, where you should be watching Equestrian live, if you are living in India. 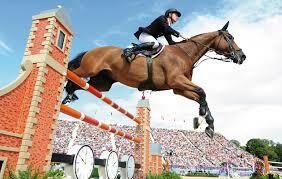 Supersport – will be the best place to enjoy Live Equestrian Events in 40 countries of Africa. NTVplus.ru – All the Olympics fans from Russia can enjoy Equestrian Events live on NTVplus without any problem. Canal Plus – will broadcast live streaming and TV telecast of Rio Equestrian in France. CCTV Sports – All the Fans of Equestrian can watch this Rio Olympics event live on CCTV Sports inChina. Seven Network :- You can watch Equestrian stream on Seven Network in Australia. Sky Italia Sports – This channel will broadcast live telecast in Italy. Sportfive Network – This network will broadcast Rio Olympics Equestrian in majority of European Countries.